Obituary for Anthony Spremulli | Nardolillo Funeral Home, Inc.
89, of Cranston, passed away on Saturday, September 8, 2018, at Philip Hulitar Hospice Inpatient Center, Providence. He was the beloved husband of the late Anna Cavallaro. Born in Providence, he was a son of the late Luigi and Costanza (Moreno) Spremulli. Anthony was a US army veteran serving during the Korean War. Mr. Spremulli was a Journeyman Plumber for many years until his retirement. He was a member of the United Commercial Travelers and Pannese Society. Anthony was an avid Red Sox’s fan. He enjoyed woodworking and mechanics but most of all being with his family and friends. Anthony will always be remembered for his charm and laughter. Anthony is survived by his loving children, Stephen Spremulli and his husband David Clithero of Portsmouth and Anne Marie Torregrossa and her husband Salvatore of North Providence. 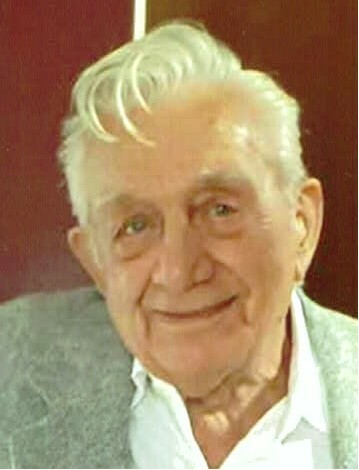 He was the cherished grandfather of Nicholas and Anna Torregrossa. Anthony was the brother of John Spremulli of Cranston, Joseph Spremulli of Johnston and the late Mary Palana and Louise Spremulli. He was the companion of Shirley Florio. He is also survived by many nieces and nephews. His funeral will be held on Friday, September 14th, at 9:00 a.m. from the NARDOLILLO FUNERAL HOME & Crematory, 1278 Park Avenue, Cranston, followed by a Mass of Christian Burial at 10:00 a.m. in St. Mary’s Church, Cranston. Burial with military honors will take place in St. Ann Cemetery, Cranston. VISITING HOURS: Thursday from 5:00-8:00 p.m.